Input tax credit means the tax paid on by the purchases of goods or services and the same can be settled against the liability on the sale of goods or services. The credit was claimed under the pre-GST regime based on the purchase invoices available with the taxpayer. But in case the seller raised tax invoices on which the purchaser availed credit but the seller did not pay taxes, the Government would lose money and hence, it was necessary to introduce a mechanism where credits are available to the purchaser only when the seller pays tax to the Government. In this article, we will discuss the procedure of claiming input tax credit under present and proposed GST return filing system. 3. 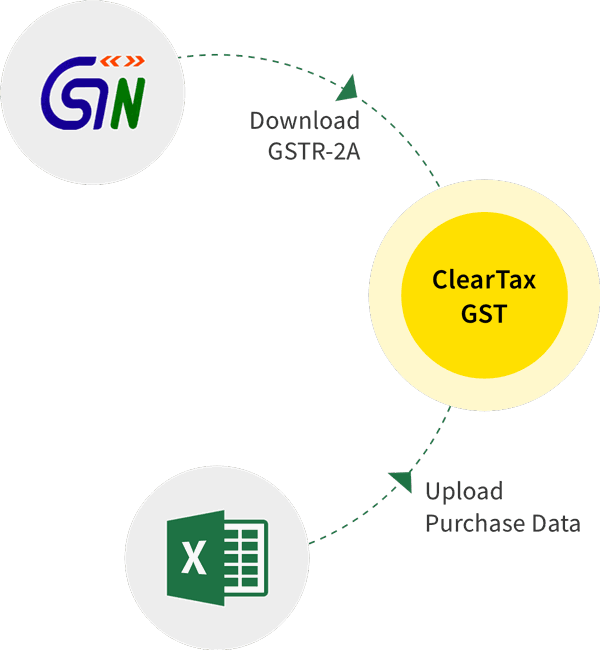 Invoices uploaded by the seller in GSTR 1 can be viewed by the purchaser in his GSTR 2A form. Please note: If the provisional input tax credit claimed on purchases in GSTR 3B is more than the input reflecting in GSTR 2A, then department might issue a notice seeking an explanation for the same. The credit can be denied by the department for the invoices for which tax is not paid by the seller. 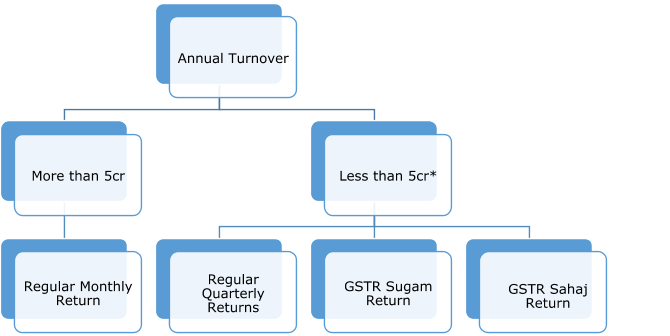 *Assessee with a turnover of less than 5 crores will have an option to file quarterly returns and one of the returns mentioned above. d. The credit with respect to inward supplies accepted by the recipient shall be posted in the relevant field of the input tax credit table of the return to be filed by the recipient. e. Once the recipient has accepted the invoices, such invoices will be considered as locked and no changes can be effected in respect of such invoices. In cases where the recipient has a large number of invoices, taking action against each of the invoice could be difficult and hence all the invoices will be treated as accepted and locked except those invoices which are marked as pending/rejected. There shall not be any automatic reversal of input tax credit at the recipient’s end where the invoice is uploaded but tax has not been paid by the supplier. In case of supplier failed to pay tax on the supply, recovery shall be first made from the supplier and in some exceptional circumstances like missing taxpayer, closure of business by the supplier or supplier not having adequate assets or in cases of input claimed by the recipient in an illegal way, etc. In the initial phase of six months, the recipient will have an option to avail ITC on self-declaration basis even on the invoices not uploaded by the supplier by 10th of the next month by using the facility of availing ITC on missing invoices. The input claimed on the missing invoices by the recipient shall be filed by the seller within next two tax periods from the input claimed by the recipient. If the same is not filed by the supplier, the input claimed by the recipient shall be reversed with interest and penalty. Ex- A purchased goods from B in the month of April 2018, B failed to report the same in the April 18 returns. A has an option to claimed the credit in April 2018 returns and B has to report the same by June 18 returns. If B missed reporting the same by June 18 then the ITC claimed by A shall be reversed in July 18 returns with interest and penalty.